We all love the comfort of cotton. Others fancy the thicker warmth of wool. And there are those who like the lustrous sheen of silk or satin. Every fabric used to make our bed sheets have their own unique characteristics. They’re designed to fit different kinds of people of varying regions and diverse climates. But no matter who you are or where you’re from, you’re sure to love this new type of sheet we’re about to introduce you to – Bamboo Sheets. In recent years, people have spent less energy on arguing whether bamboo is a type of grass or tree. Instead, they focused this energy on developing the plant’s naturally endowed features into something useful for all mankind. And indeed, they came up with something brilliant. Bamboo sheets have been released in the market in the early 2000s as soon as the product trials and tests ceased to show any negative results. In depth research has been done tackling the possible advantages and/or disadvantages of using bamboo fiber in linen cloths – the conclusions of which, we’ll happily disclose as you continue reading this article. The selling point of cotton is mostly attributed to the soft and crisp feeling it gives people. However, not all cotton consistently provides such comfort. American Upland Cotton (lower grade cotton) does not necessarily give off the same amount of comfort as pure Egyptian cotton – although this much is to be expected considering the large gap between the two sheet’s prices. Bamboo sheets provide lasting comfort for less. There are no extremes. This means that all types of bamboo sheets generally induce the same amount of comfort. Another good thing about using bamboo is that it doesn’t soil easily. The bamboo plant has natural resistance to bacteria growth making it a formidable foe against those nasty flu-causing microbes. It’s a good advantage especially for those who don’t have heavy-duty washing machines in their homes. Fewer bacteria would mean prolonged use. The oozing smell our sheets sometimes give off after a few days of use is caused by rapid bacteria growth. The accumulation of dust, dirt, sweat, and germs, can produce a foul-smelling odor and may disrupt your sleep at night – unless you’ve somehow become immune to it. Even so, it’s not all that pleasant for your sleepover mates to lie on sheets that smell. Bamboo sheets may just be the solution to your problem. Its antimicrobial features also make it a natural deodorizer. Because it resists the growth of bacteria, you get to keep your sheets smelling fresh for a longer period of time! Bamboo is also said to complement our body temperature well. When it’s cold, it absorbs our body heat and reflects it back to us. When it’s too hot, it releases some of the heat away from our bodies to make us feel a little bit cooler. It’s thin and partly crisp texture also allows air to flow in and out freely so that we get a good and sound sleep. The bamboo plant, also because of its antimicrobial and antibacterial properties, does not need pesticides to grow. Pesticide contributes greatly to air, water, and land pollution and is considered to be extremely hazardous to human health – even the food we eat on a daily basis contain pesticides to some degree. Because bamboo plants do not use such harmful chemicals, they are considered to be pro-environment. compared to cotton, being the most controversial when it comes to pesticide use, bamboo material is regarded as a safer and healthier material to use for bed sheets. Because bamboo sheets do not use pesticides at all, chances of allergic reactions are relatively low. Other than the dust mites, allergies can also be caused by excessive use of artificial chemicals and may result in discomfort due to itching, sneezing, coughing, and skin rash. If anything, bamboo sheets naturally repel allergens, keeping the bed surface free from allergens. This is why bamboo sheets are recommended for people with sensitive skin and those who suffer from allergy attacks. Another usual concern for manufacturers is how well supply can accommodate a need. Well, with bamboo, we don’t really have to worry about that. The bamboo plant grows in towering heights in just a matter of months. And it does not require replanting after harvesting nor does it require any watering. Its roots just sprout new stems and it self-irrigates. This makes bamboo sheets and other bamboo bedding a sustainable alternative given the reproduction rate of the bamboo plant. Bamboo blended sheets (bamboo+cotton, bamboo+polyester) are affordable, as cheap as good quality regular cotton sheets. 100% Bamboo sheets are not too cheap nor are they too expensive either – they’re priced just about right. Unlike pure Egyptian cotton or high quality satin sheets, Bamboo sheet prices don’t skyrocket off the roof. Although many brands manufacture, different types and designs of bamboo sheets, they’re generally within the same price range. Taking my own experience into account, I’ve never had a sour experience with my bamboo sheets but it appears that some people do. There are claims that bamboo breaks easily after several washes or toughens up the more it gets laundered – the complete opposite of cotton. Because bamboo sheets are fairly new to the market, so some may claim that they have not been around long enough to attest to their durability. Mainstream linen materials however, like cotton, have been around for centuries and have been tested for durability time and time again. In order to create the fiber used to weave bamboo sheets, the plant undergoes a thorough processing phase. Whether bamboo sheets have added health benefits or not, has been a long-standing argument. The truth is, pure 100% Bamboo sheets are more expensive than their regular cotton, polyester and counterparts. However, there are some isolated brands with Bamboo sheets with the same price tag as regular cotton sheets. When it comes to The best Bamboo sheets Brand, Cariloha is at the top and one of the most popular brand for Bamboo sheets that are irresistibly soft and luxurious . If you prefer plain, regal colors for your bed sheets then the twill-weaved Caroliha’s Bamboo Sheets may just be the thing for you. Other than being naturally hypoallergenic ultra soft and luxurious, these sheets are breathable and have moisture-wicking properties – a feature that is common with sports wear, beneficial for drawing moisture away from the skin for faster evaporation to leave the skin cool for a dry and comfortable night. 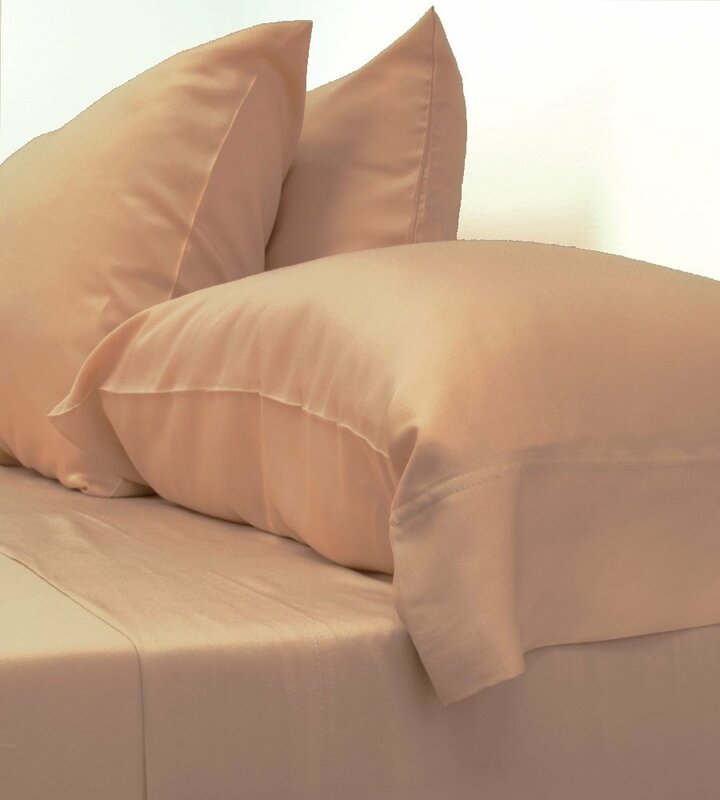 Mandarin Home Bamboo sheets boast of being plush, silky and super comfortable. I addition to being Hypoallergenic, They are stain resistant, fade resistant, and – wait for it – wrinkle free! The number one problem with cotton sheets is that they look messy with their crumply look. If Mandarin Home’s wrinkle-free sheet promise is true, then we’re really in for a nice treat. Also made from Rayon, Hotel Sheets Direct claim that their Bamboo sheets are more durable and comfortable than competitors. Other than being soft and having good thermo-regulating features, one of the more prominent features of these sheets is their resistance to piling. Worth noting also is that although these sheets are 100% Bamboo, they really inexpensive and cost as much as regular cotton sheets. 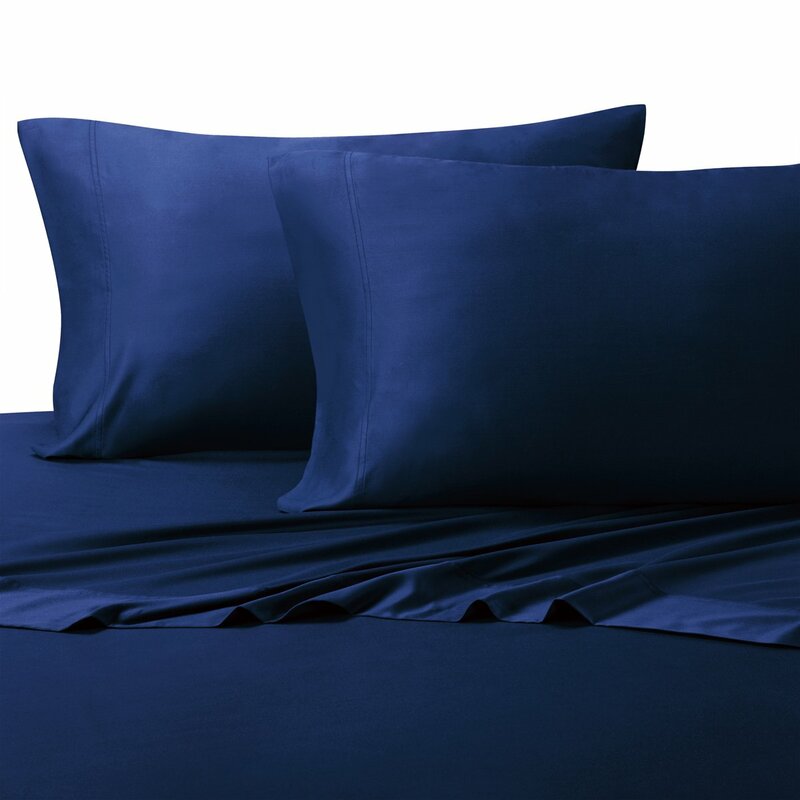 Soft and silky with excellent moisture-wicking and insulating properties for all suitable for all seasons including hot summers, these sheets are naturally static, odor and stain-resistant, not to mention they have undergone an anti-wear treatment so as to increase durability and prevent piling. These bamboo sheets made from 100% viscose claim to have a softness comparable to cashmere silk and 60% more absorbent than cotton. 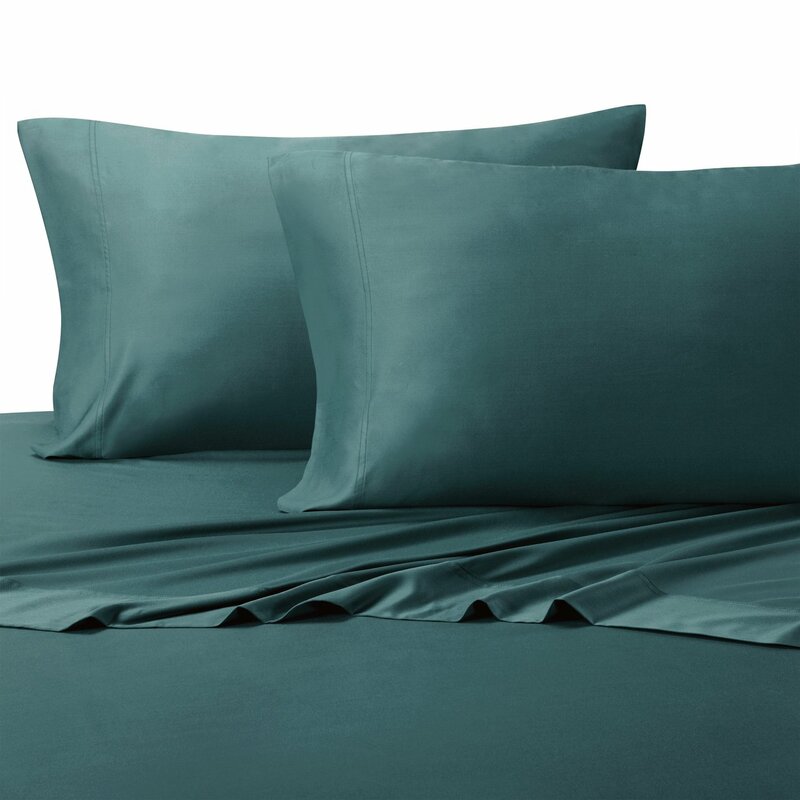 One thing to love about these sheets other than the obvious benefits of bamboo sheets is that they come in some great colors and in quite a number of bed sizes including Olympic Queen, Twin Extra long and Split Sizes. 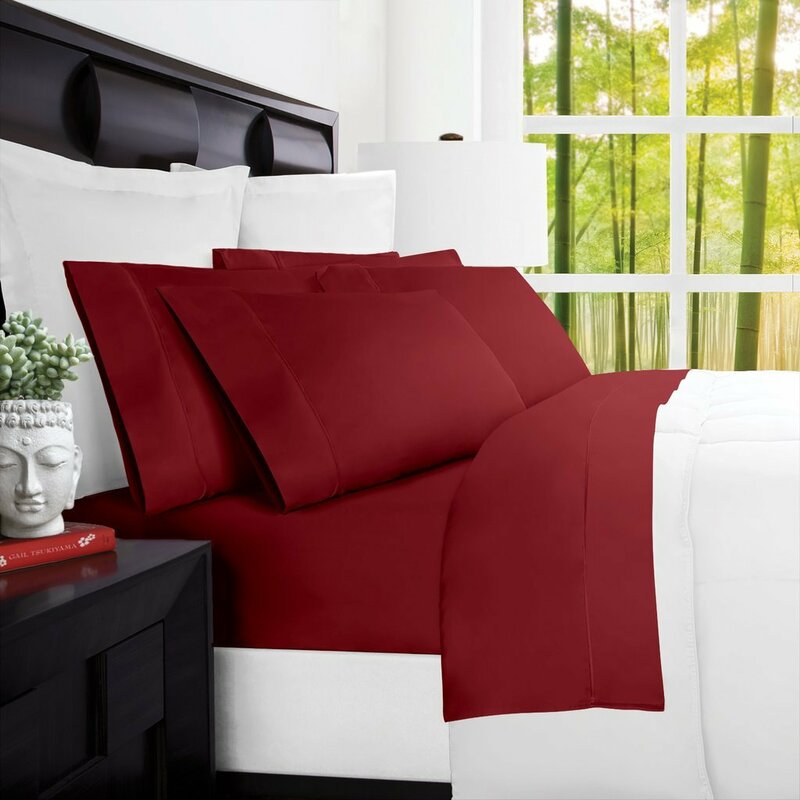 Royal Hotel Bedding is a popular bed sheet brand with one of the best selling Bamboo sheets on Amazon with some nice popping colors and in more than just 5 bed sizes. Aside from just looking good, their bamboo sheets have substance to offer – its satiny exterior is just as soft, comfy and luxurious as it looks! 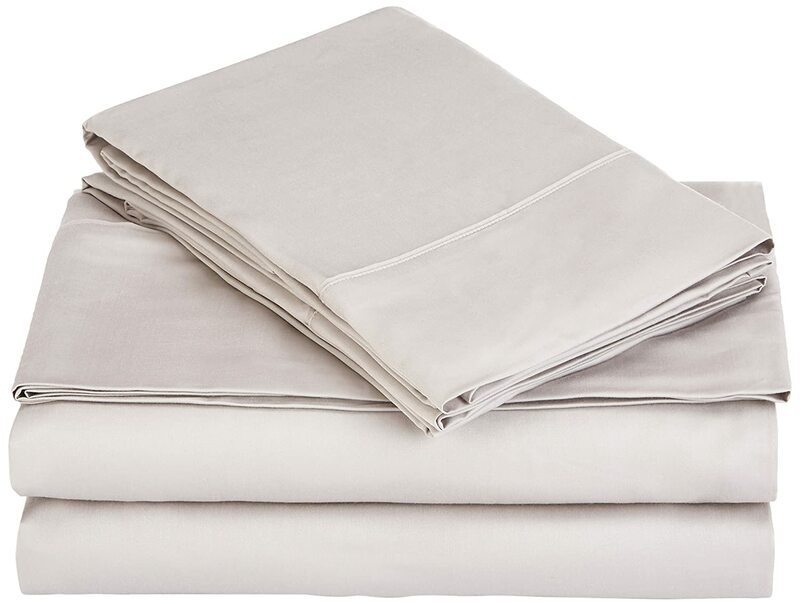 All these bamboo sheets are machine washable, so you don’t have to worry about going on a trip to the cleaners. Also, all of them are eco-friendly so you’re actually promoting a healthier environment by buying one. Currently, they all come in the standard Twin, Queen, King, California King and Queen sizes with some having Full, and Split sizes. 100% Bamboo or Blended– 100% Bamboo Rayon (Viscose) sheets are said to be softer than the bamboo blended fabrics. If 100% bamboo sheets you’re after, ensure the packaging (or product description for online stores) clearly states that. If it doesn’t then chances are, you’re buying a blended product. The weave– There are basically two types of weaves to look out for in Bamboo sheets– the twill and sateen weave. Sateen creates more silky and softer sheets while twill weave is the tighter of the two for sheets that are stronger and durable. The problem here is online retailers don’t mention the type of weave very often in their product descriptions. The good thing is, either weave is still softer and more durable than ordinary cotton and polyester sheets. User guarantee– The best retailers will give a guarantee for their product in case the quality is not as advertised. There are numerous sellers claiming to sell “Bamboo sheets” so only buy from trusted sellers with good reviews and a customer guarantee. The best bamboo sheets are pre-shrunk to reduce to degree of shrinking when they are washed. However even the best of the best including those that have undergone pre-shrinking will shrink further if you wash them with hot water and then hot dry. So to maintain your bamboo sheets in their original size, prevent pilling and enhance durability, always wash them with cold water and line dry or tumble dry at low setting. Bamboo sheets of the best quality are machine washable at low temperatures. They are naturally soft so they do not require softeners. Harsh bleaches are a no no! Personally, I think the best quality Bamboo sheets offer great value for the money as the pros far outweigh the cons! If you’re looking to buy new sheets in future, Bamboo sheets are worth considering, especially if you have sensitive skin and you occasionally suffer from allergic reactions in the bedroom. You having nothing to lose with Bamboo sheets because at the very least, you will be assured of comfort. Here’s to bamboo sheets creating a cleaner and greener) future!